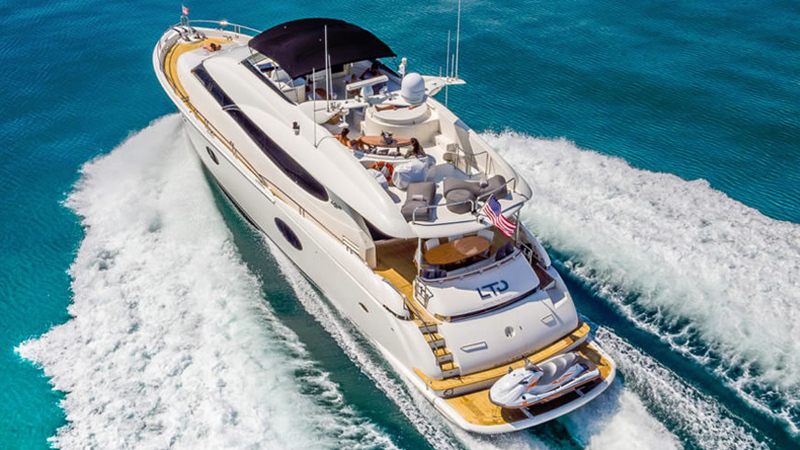 The Lazzara 84 is a spectacular all- round package, offering the amenities of a much larger yacht with its spaciousness, 5 bedrooms, and giant flybridge deck. 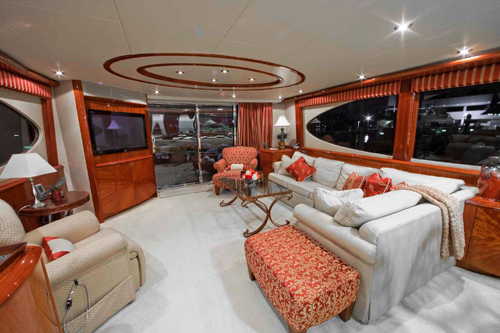 Only 80 Range vessel that sleeps 10 guests! Jacuzzi tub, wet-bar, and hardtop fly. Sea Doo Jet Ski on swim platform included. oversized windows for an abundance of light.